Farmington, Maine (pop. 7,800) is conveniently located in the foothills of Maine’s high peaks, only 45 minutes from Augusta and 90 minutes from Portland. We're situated in the heart of Franklin County, at the entrance to Maine's Lakes and Mountains region; approximately 331,000 people live within 40 miles of Farmington. It's world famous as the birthplace of Chester Greenwood, inventor of the earmuff, and the hometown of Seth Wescott, two time Olympic Gold Medalist in the Snowboard Cross. 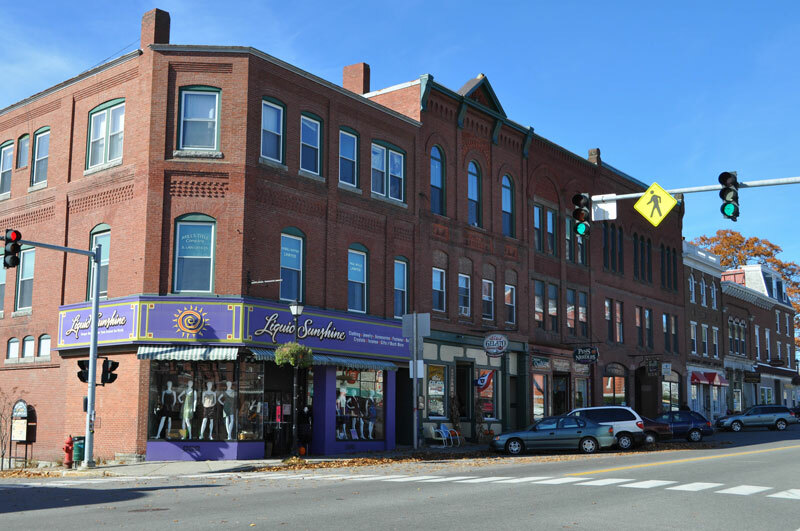 Close to three major ski resorts, Downtown Farmington is one of Maine's best preserved downtowns. Its walkable Broadway, Main and Front streets offer a variety of professional services, quaint shops, unique eateries and entertainment all available with one stop free parking. Located within the vibrant downtown is the University of Maine Farmington, which provides an abundance of cultural opportunities and athletic.